Almost a year in the planning, we decided we wanted to go carp fishing in France, however, not to one of many, well publicised, more â€˜commercialâ€™ venues, but somewhere wild and relatively untouched, a river adventure. 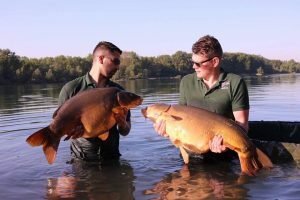 Much like our UK fishing, where we thrive for venues that few others fish, requiring an immense amount of effort, this trip would take that to a new level. Once the stretch had been found, the logistics were planned, a boat would be needed to reach the otherwise inaccessible peninsula and the ferry was booked. With 4 days for the bank holiday, this would be a research trip, before we return later in the year, with a better idea of what to expect and further venues on our target list. 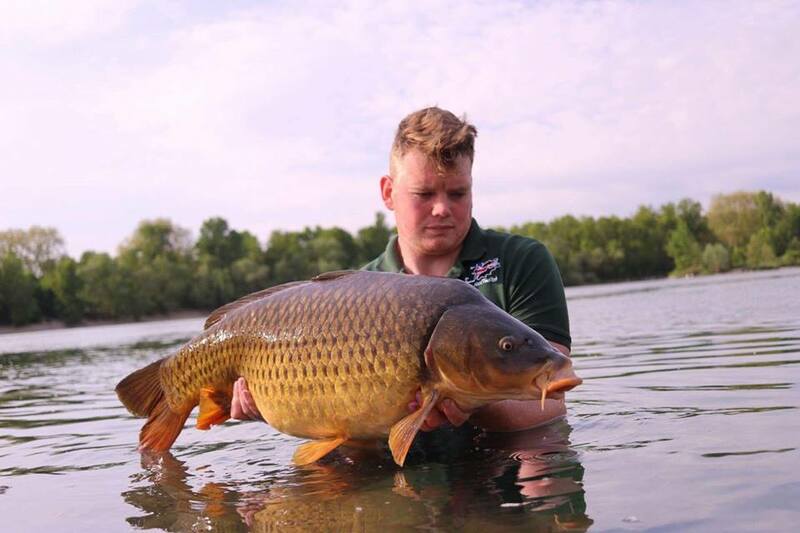 The first bite came to James in the early evening, an immaculate 2lb barbel slipped over the spreader block with an 18mm bait firmly lodged in its mouth. From now on it would be 24mm only, although the barbel would have been great sport, they werenâ€™t what we were here for and not so sporting on 3lb carp rods. 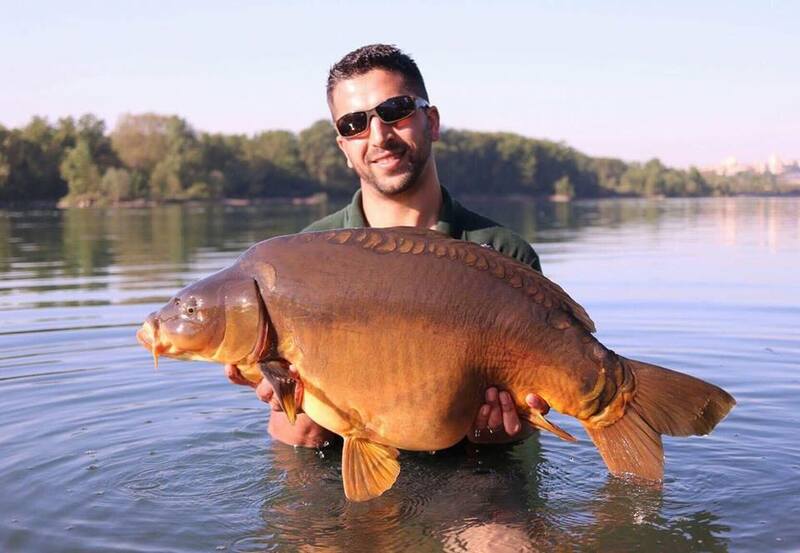 An hour later, Jamesâ€™ right hand rod, placed at the bottom of a 16 foot shelf , melted off, he clamped down, only to find the fish was making a mockery of his clutch and powering away. He shouted for the boat, and we made chase after what felt like a leviathan. With head torches off, the sound of the screaming clutch and the moonlight illuminating the water, this was exactly what we had come for. 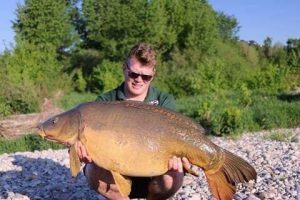 The fish surfaced and James called â€œcatfish!â€™, due to the length of it, however, upon further tiring the river monster, a long, deep bodied mirror was sulking in the net. We couldnâ€™t believe it, this was beyond our dreams. We had to save this immense fish, for the morning light to do her justice and she was in the retainer, in a deep pool of oxygenated water until the early hours. To cut a long story short, what followed, can only be described as the finest few hours of fishing we ever had. 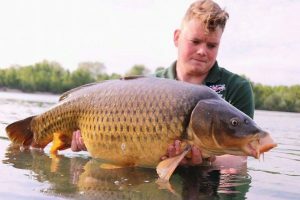 There were still odd fish in the area however and James proceeded to land a 29 and 24 common with a small mirror for myself also. I also ended up losing what felt like 2 big fish. The latter of the two came when we weâ€™re making dinner, one bleep, two bleeps and then a one toner, a sure sign of a big fish, I ran to the rod and tighten the clutch gently, the 3lb rod buckled over, and the clutch sung itâ€™s song before the line parted. Absolutely gutted does not describe it. Having discussed this, we think it was due to the back leads, washing the line up against the side of a snag, as the slack had been taken out of the line, it made contact with the snag and parted. In the future we may have to use the bubble float or balloon method often used on these snaggy, French venues such as Rainbow. 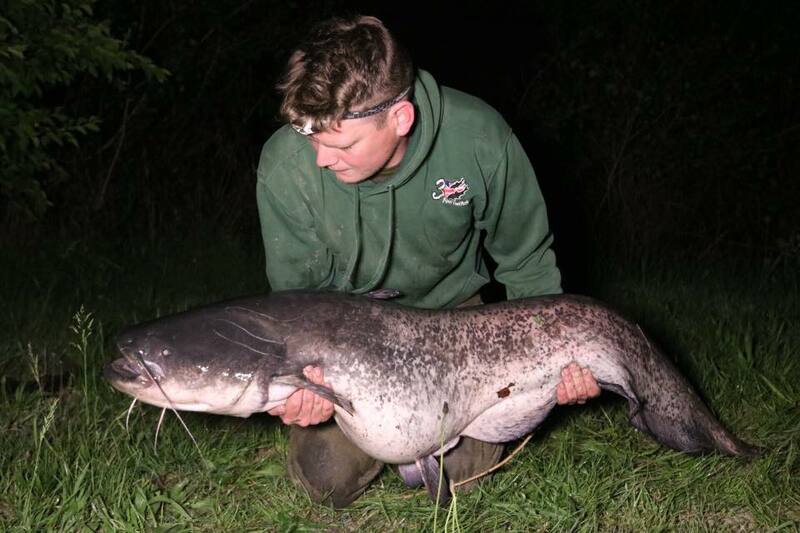 James also spectacularly landed a 57lb catfish following an epic boat battle, which had hoovered up between 2-3kg of redemption. This fish was small for the area where 150lb â€˜Silureâ€™ are ever present but I still managed an even smaller fish of around 10lbs. We had planned to do a full video of the trip, however we never really got the footage we wanted to put out, due to the lack of day time action but there will be a few highlights of the fish we caught. All in all following the immense effort of packing away we can reflect on an extremely successful â€˜exploratoryâ€™ trip. 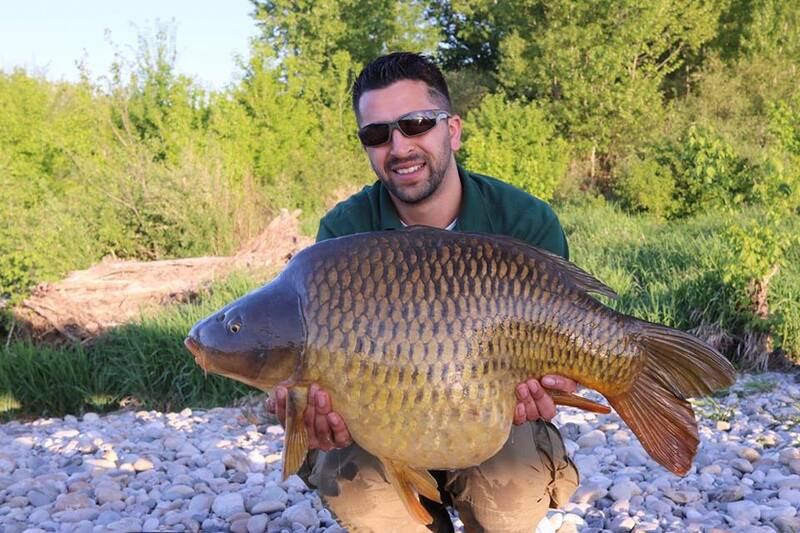 If someone had offered us a 45, 3 x 30â€™s, 3 x 20â€™s and 2 catfish we would have bitten their hand off, however, itâ€™s hard not to feel there is unfinished business and there is already planning underway to return and fish some of the other areas of the river and the large natural lakes where carp up to 80lbs recide. We have learnt an immense amount and this will be the first of many in our quest for massive, natural, wild carp.